This decision was made due to the possibility of the spill continuing to move. It has been almost 20 days since the Grande America failed to complete its journey undertaken from Hamburg to Casablanca. 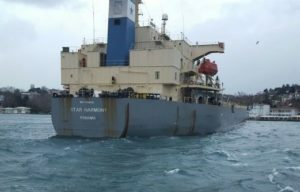 Sinking 180 miles from the French coast, the ship is considered lost and the 2,200 tons of fuel oil it was transporting continue to detach at 4,000 meters depth. The consequences of the accident were the subject of debate between the French and Spanish authorities, but the Xunta also put the ecological issue in the spotlight. It is not just about the fire that took place before the ship went down, but about the 70,000 liters of oil, the 2,100 vehicles, 190 liters of diesel fuel and 365 containers that he had with him and that are at the bottom of the Atlantic Ocean. Due to the environmental consequences that this event entails, the Camgal (Territorial Plan of Accidental Marine Pollution of Galicia) was activated as a preventive measure by the regional government. The main purpose with which it is promoted is to be prepared, but also to respond quickly to the danger of the arrival of remains of heavy fuel to the coasts of the autonomous community. 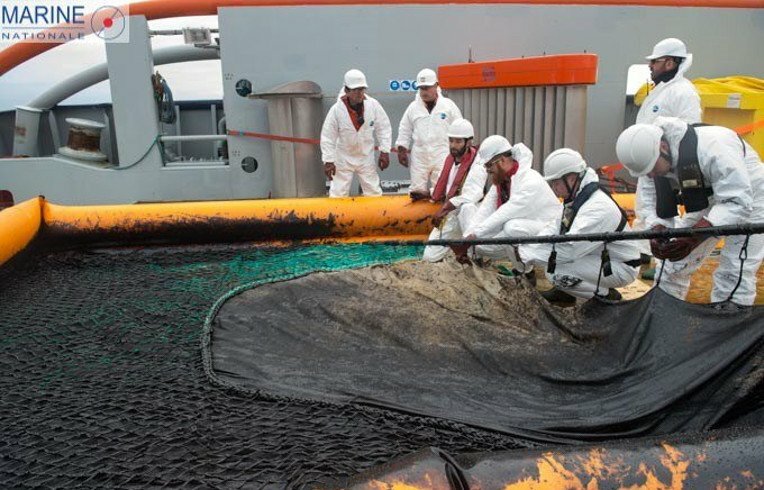 San Caetano, in addition, coordinated with State Maritime Rescue to carry out an exhaustive monitoring of oil drift. These two decisions respond to the predictions launched last Wednesday by the Maritime Prefecture of the Atlantic – also to meteorology. The Coast Guard Service has already moved the multi-purpose vessel Sebastián de Ocampo to Celeiro (Viveiro) to act in case it is needed; and the Pesca 2 helicopter and Punta Promontoiro patrol will carry out checks around the area. All these actions can be added to those undertaken in the Cantabrian coast before the obligation to control and collect all the spill and power, thus, adopt pertinent actions in the necessary case. Sentinel-1, a constellation of two satellites built for the Copernicus environmental monitoring program of the European Commission, acquired a radar image of the oil slick. Its extension reaches 50 km². Older PostIs the Fishing Fleet in Spain Safe?